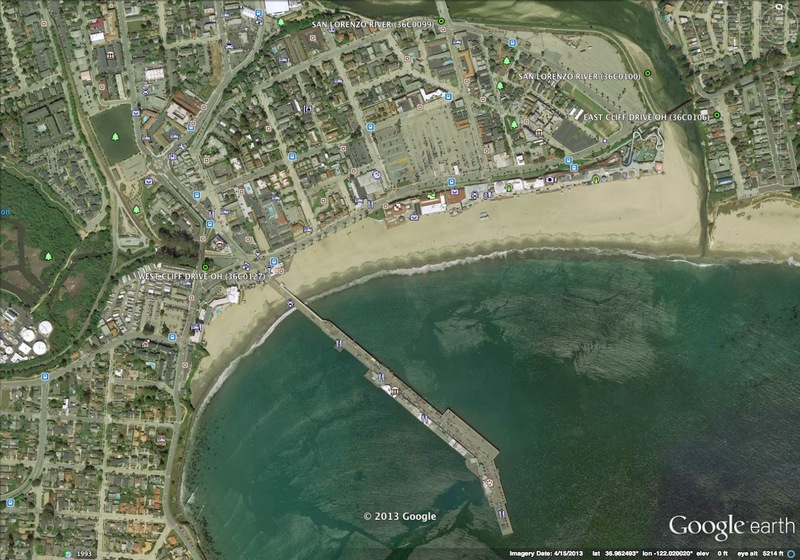 Yesterday's bridge is on the east side of Santa Cruz Beach while today's West Cliff Drive OH (36C0127) is on the west side of the beach (see Google earth photo below). Along the beach are surfing classes, a wooden wharf where sea lions lounge among the piers, and a boardwalk with an amusement park. The beach was featured in "The Lost Boys" and several other movies. 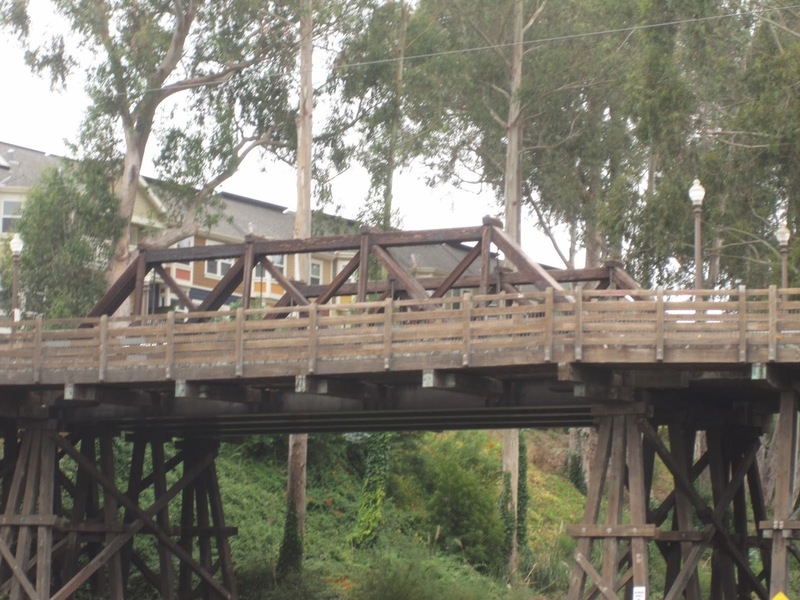 Today's bridge was built in 1918 with a timber trestle substructure and a Howe pony truss superstructure. In 2000 it was strengthened with steel I girders supporting the main span (see photo below). Between the trusses is a single lane road and on the outside are walkways supported by corbels extending out from the floor beams. The bridge is 190 ft long with a 62 ft long truss span. The bridge is in 'Good' condition with a sufficiency rating of 93 and it carries about 500 vehicles a day. 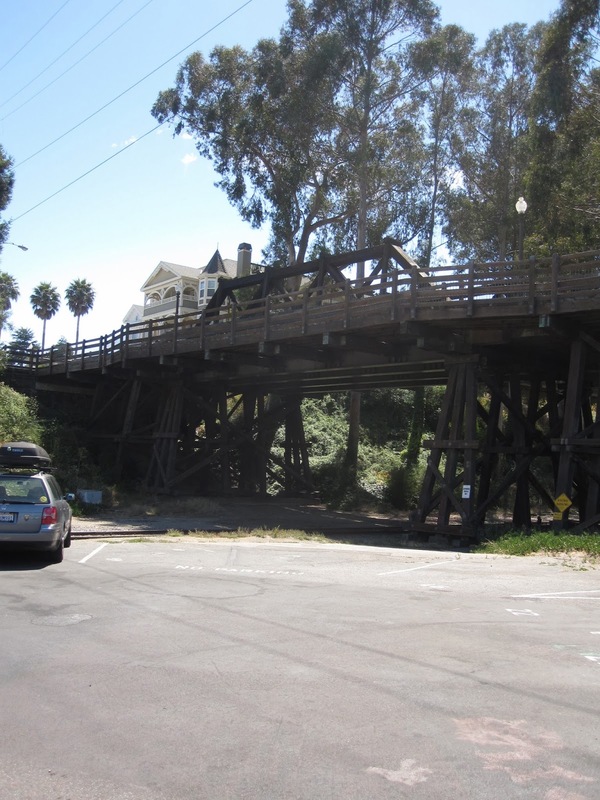 'Historic Highway Bridges of California' states that this bridge was built by the Southern Pacific as a grade separation over its track. 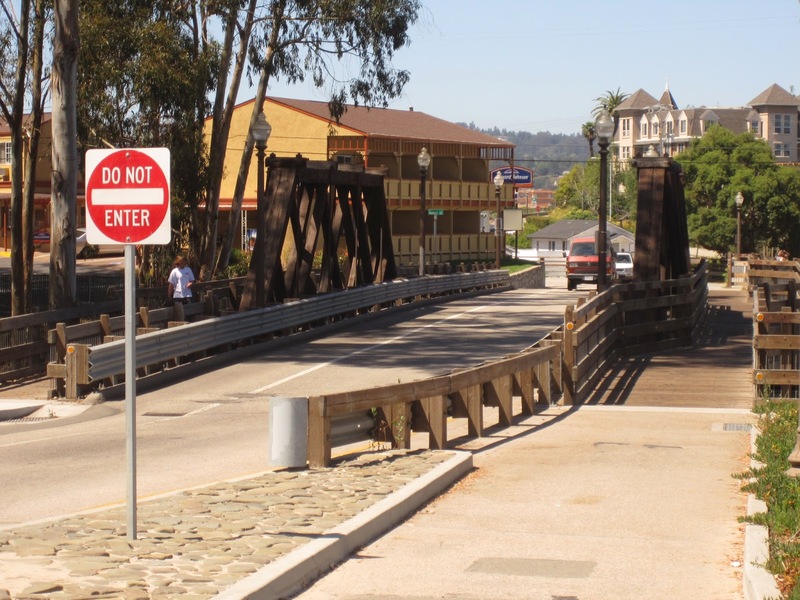 They continue '..It is the only Howe Truss on a California Highway" although this one lane road hardly qualifies as a highway. Perhaps because of the extensive alterations it is not registered as a historic place. Santa Cruz County, California Bridges: West Cliff Drive Overhead across the Southern Pacific Railroad by Mark Yashinsky is licensed under a Creative Commons Attribution-NonCommercial-NoDerivatives 4.0 International License.